If you need a single Off-Site secondary domain controller, an entire Cloud Infrastructure, or anything in between the GCM Private Cloud can meet your needs. Our Private Cloud is powered by VMware just like Fortune 500 Companies and features frequent Veeam based backups to ensure your data is safe. This innovative service allows you to focus on your business operations instead of spending time worrying about hardware! Cloud services are quoted individually by a Computer Systems Engineer, contact us for pricing information. Off-Site backups are the safest way to ensure your data is safe from a physical disaster or hardware failure, and full bare-metal images of your servers or workstations allow for super fast recovery time. There is no need to reinstall an operating system or software and then restore data, with our Off-Site backups we simply restore the image to new hardware and you are operational again in a fraction of the time. We know you have enough emails to look at every day, let us handle the monitoring of your backup system report emails and notify you when your backups have failed. With our automated system a ticket will be opened in the event of a failure and a technician will be working to resolve the issue shortly. 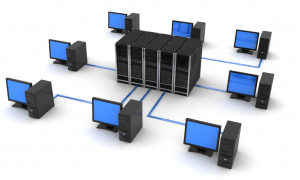 Off-Site backup and monitoring options are quoted individually based on your needs, contact us for pricing information.